Raise your hand if you’re embarrassed about something you’ve done in the past decade. I’m currently typing with one hand while the other is waving proudly in the air. I imagine most people (at least those in their twenties) reading this are doing the same. I could choose to write about probably a billion things from my high school years. Maybe I could tell you about my diary entries in which I planned my marriages to several boys at the local prep school. Then I could go on to describe the week in which I got a perm, cried and cried at the wet poodle look, chopped my hair off to my skull to start over, and endured months and months of bowl cut to mullet in the spirit of growing it all out. Finally, I could tell you to top it all off, having successfully survived and maybe even thrived in high school, how I began my salutatory address at graduation by singing. No warning, no accompaniment, not a song that anyone would know, but instead a soulful ballad from the musical version of The Color Purple (which I haven’t even seen). In the somewhat epistolary form of Alice Walker’s The Color Purple, Celie writes letters to communicate to her sister, or even to God. Her letters are filled with horrible tales of domineering or abusive men, societal restrictions, and broken heartedness. Keeping all of that in mind, I’d like to communicate a message to my younger self. Go ahead and dye your hair. Chop it all off; hair grows back. Plan your diary marriage to any one of those Devon Prep boys, even the ones you’ve only spoken to twice. Planning fake weddings is fun. Do goofy things and do them because you chose to. Sing your heart out at high school graduation because at no stage in life is singing out loud unacceptable. No one is stopping you, and that’s a beautiful thing! Present Day Laura, who is contently reminiscing on the embarrassing moments and munching on a cruller purple. 2. Transfer batter to standing mixer and allow to cool until lukewarm. Begin to beat batter, adding eggs one at a time. Use piping bag or hands to form batter into desired cruller shapes. (These can be disks, tubes, or anything, really!) If batter is sticky, put already shaped cruller batter into freezer to firm up. 3. Meanwhile, heat oil to 350 degrees. 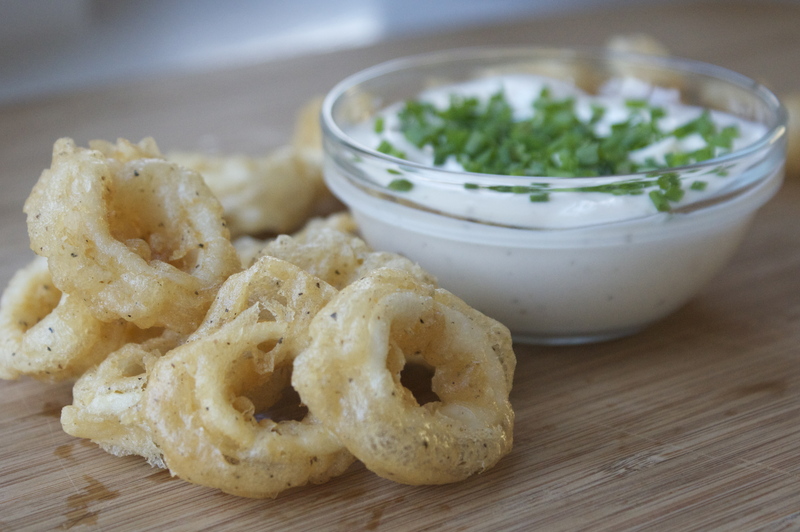 Drop each cruller in, allowing to cook for about eight minutes (turning occasionally for even browning and cooking. Remove from oil and place on paper towel. 1. In blender, combine blueberries and lemon juice. Strain into bowl, then whisk in milk and confectioner’s sugar until glaze is smooth. Drizzle over warm crullers. Garnish with confectioner’s sugar. 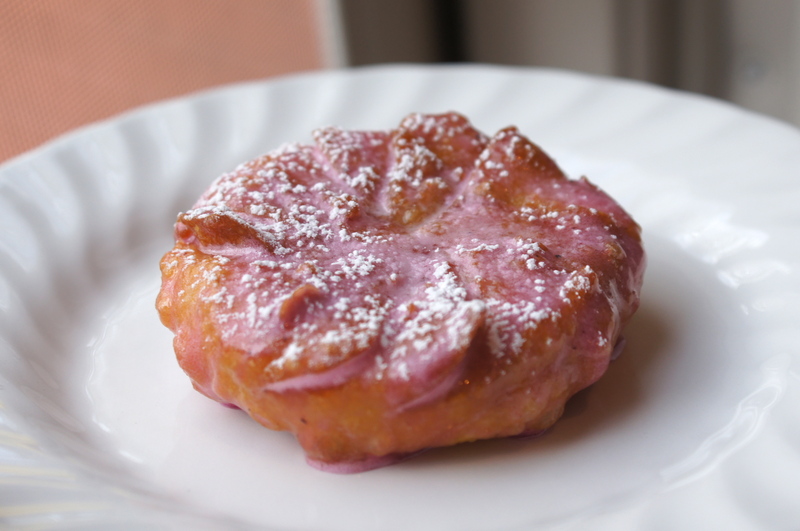 Enjoy blueberry glazed crullers with Alice Walker’s The Color Purple, and check in at http://warandpeach.com for future recipes and book reviews! I decided at a very early age that I had a particular disdain for olives. I’d stand even firmer in this opinion when people would tell me that olives were ‘an acquired taste.’ The option of snacking on these small but potent little spheres was ruled out years ago. There are things in life we claim not to like. Certain foods, certain chores, certain people. But perhaps if we were to treat these things differently we’d see a more redeemable side. Jonathan Tropper’s This is Where I Leave You describes a dysfunctional family’s reunion while sitting shiva. Longstanding feuds and silences have left the grieving process compounded by awkwardness and hostility. The novel follows the main protagonist through his return home to a catastrophic reunion with his family, and the path to reconciliation paved with changed attitudes and a few surprises. As I grow older and maybe even a bit wiser, I’ve begun to change my own attitude towards olives. Instead of ignoring them and wrinkling my nose, I have approached them in a new way, applying a new technique, discovering different textures and flavors, and growing to appreciate – and perhaps even like them. 1. Soak olives in water for an hour to reduce brine flavor. Rinse and dry thoroughly. 3. Combine goat cheese with peppers. Pipe mixture into olives. 4. 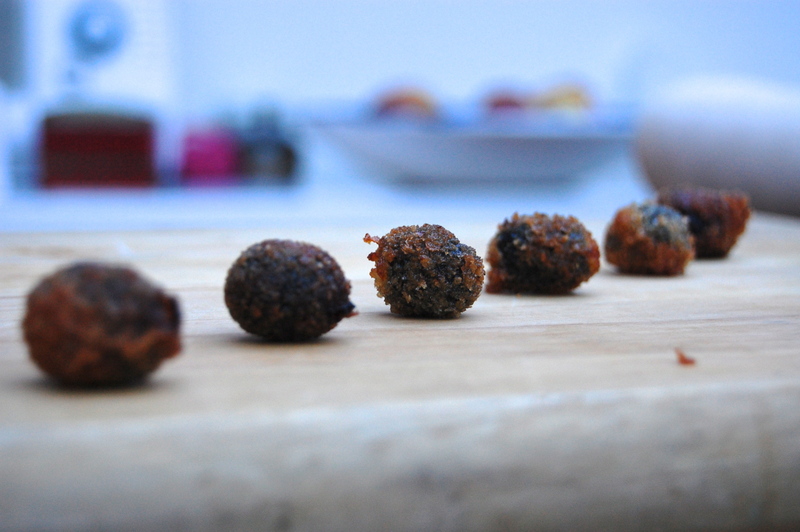 Dredge olives in salted flour, dip in egg, and cover in breadcrumbs. 5. Fill a pan with veg oil, about quarter of an inch deep. Heat oil until shimmering, but not smoking. Add olives until slightly golden brown, then flip and fry the other side. Enjoy deep-fried stuffed olives with Jonathan Tropper’s This is Where I Leave You, and check in at warandpeach.com for future recipes and book reviews!